Rural Electrification has been one of the key focus areas for the current government.The vision of “Power for All” has been shining brightly in the eyes of government and it aims to electrify all villages by May 2018.The following post will look at the current status of Rural Electrification and various initiatives taken by the government to achieve this target. The ratings of distribution transformer and LT lines to be provided in the village would be finalized as per the anticipated number of connections decided in consultation with the Panchayat/Zila Parishad/District Administration who will also issue the necessary certificate of village electrification on completion of the works. The number of household electrified should be minimum 10% for villages which are un-electrified, before the village is declared electrified. The revision of definition would be prospective. Thus,as per the above definition it requires only 10 % of the households in a village to be connected for it to be classified as “electrified”. This implies that even if a large number of households remain un-electrified after covering 10%, still the village will qualify to be called as “Electrified”moreover, the definition doesn’t specify the minimum number of hours of electricity supply in the villages. Establishment of REC (Rural Electrification Corporation) : REC was established in the 1969 with the objective of providing finance and promoting finance and promoting rural electrification across the country.Its main objective is to finance and promote rural electrification projects all over the country. It provides financial assistance to State Electricity Boards, State Government Departments and Rural Electric Cooperatives for rural electrification projects as are sponsored by them. RGGVY (Rajiv Gandhi Grameen Vidyutikaran Yojana) It was launched in April 2005 for attaining the National Common Minimum Program goal of providing access to electricity to each and every household within a period of 5 years.The scheme was to officially end in 2009 ,however, due to non-attainment of the targets, certain allocation were made for the continuation in the 12th plan period (2012 -17). In terms of achieving the targets of lighting up unelectrified villages, the performance was much better in the initial years than in the last three years of the program. DDUGY(DeenDayal Upadhyaya Gram jyoti Yojana) : In Dec’14, the government announced DDUGY with some modification to the RGGVY scheme already in progress.It aims feeder segregation and strengthening of sub-transmission and distribution infrastructure in rural areas including metering of distribution transformers/feeders/consumers part from electrification of unelectrified villages,household. As per the revised targets set by REC vis-a-vis government of India , 2,21,424 villages to be electrified out of which 95,977 have already been electrified ( Dated 20.04.2016 http://garv.gov.in/dashboard ) . Nine states (AP , Goa , Haryana, Kerala,Maharashtra,Punjab,Sikkim and Tamil Nadu) have achieved 100 % of the village electrification.Bihar is the worst performer in terms of household electrification. While 97 percent of the Bihar’s village are electrified, only 12 percent homes have electricity connections. As mentioned earlier around 98 % of the total inhabited villages have been electrified in India till dated but only around 64 % of he households have electricity connections. Many institutions have come up with independent research reports targeting the reality checks of the rural electrification program. A recent report by CEEW states in its report namely “Access to Clean Cooking Energy and Electricity, Survey of states” that only 4-5 % of households get supply for 20 hours or more. This implies that a large part of electrification and energy access are superficial and the same needs to be cross-verified by third party agencies. Location specific technologies like solar,wind,mini-hydel so that target of electrification reach the granular level of society. Technological improvement required at the micro level so that the systems are well maintained over longer duration with requisite maintenance strategies. Last but not the least, there are still so many villages across India which have not experience the word “Electricity” and they are to be helped with utmost priority. This entry was posted in DDUGJY, GARV App, Hydro, My Take on Power Sector, Other Renewable Sources, REC, Rural, Rural Electrification, Uncategorized, Village Electrification and tagged DDUGJY, India, Indian Power Sector, Power, REC, Renewable, Solar, Target, Village Electrification. 1.Increase in Coal Production :Today, as the world has already started looking after a ‘sustainable practice’, in any domain and industrial and commercial practices, we really need to start assessing our potential and compare practices in the country vis-a-vis the other parts of the world which are more advanced in the sector. There can be 4 major advantages with the advent of new technology like Higher returns(IRR),Lower environmental degradation, lower per tonne of ore cost and higher production realization. An example of innovation in coal mining is moving from smaller capacity shovel to bucket sizes of even 25-30cu m capacities depending on factors like mine geology, size of mine etc. having digging capacities of the order of 11,000 MT/hr. Total coal resource: Proved -114001.60,Indicated- 137471.10,Inferred- 34389.51, Total – 285862.21 . Due to various limitations of the renewable sector, there is a need to tap our huge coal reserves. As far coal mining is concerned ,most of the mining practices are Open case mines(around 90%) as compared to Under ground mining thereby leading the drop in net coal production in some areas where the coal seam in as below as 90-100KM.Some of the prominent steps that can lead to increase in coal production are Use of proper and scientifically proven mining technology, Adopting the correct mining method (OCM/Long wall/other variants), Combining smaller mining areas to develop these into one single mine of large capacities, Promoting mining industries to have a maximum level of extraction by giving them incentives/tax rebates, Close monitoring by our government agencies in each mining project to crosscheck,the progress of each mining project in terms of percentage extraction,Meeting targets of mining projects not only in terms of production (per annum),but also on per annum level of extraction to match with the overall mineable reserves of a mining project. existing capacities from existing ports. Auction of Coal licenses/ non coal minerals through competitive bidding and thereby leading to a boost In investor confidence. MMDR Bill 2011 guaranteed annuity of 26 % to the local population, thereby increasing the inclusion of host population in the mining process in particular area. Drafting of national sustainable energy framework for mining areas. Thrust on exploration on mineral resources by AMD, GSI, CMPDIL and MECL and classification of mineral resources as per the United Nations Framework Classification (UNFC) code. Setting up of coal regulatory authority that will act as watch dog for coal pricing mechanism in India. Single window clearance mechanism for taking the clearance such environment, land etc. Above mentioned recommendations and policy regulations if implemented with proper strategy will ultimately transform India from Coal Importer country to Coal Exporter Country in the near future. References : Report of Indian Chambers of Commerce,MoP,Newspaper Abstracts etc. This entry was posted in My Take on Power Sector, Uncategorized and tagged Bottlenecks to Coal, Coal, Coal Problems, Coal Production, India Electricity, Indian Chambers of Commerce, Indian Power Sector, Mining In India, Recommendations to Coal Sector, Revival for Coal Sector, Road blocks to coal. Two Biggest failures occurred in India on Tuesday i.e 30th & 31st July 2012 when more than half of the population went deprived of electrical power. This has given alarming bells to the Indian power sector as this was the second incident back to back in 2 days. Collapse was already on the way: On Jun 8th, Northern Regional Power Committee has already warned various northern states about the over drawl of power and Grid discipline should be maintained.Two weeks later on May 17th,CERC directed Northern states like Punjab,Haryana and U.P to restrict their usage/drawl within their specified schedule to LDC,therby maintaining the security of grid. But no action was taken from the aforesaid states owing to political interferences and various other factors which will be taken up later.Moreover,NRLDC issued 319 warnings to these states during the period. Haryana, Uttar Pradesh, Rajasthan, Punjab and Jammu & Kashmir were the prominent ones.So, the grid collapse was hardly sudden and states repeatedly ignored warnings knowingly well that under Articles 142 of the Electricity Act, the maximum penalty is . 1 lakh per violation — what a travesty this is. The Power Grid Corporation of India oversees the distribution of power via its transmission network spread across the country. It has 95,009 circuit-km of transmission network, 1,36,358 MVA transformation capacity and approximately 28,000 MW inter-regional power transfer capacity. India is divided into five electrical regions, namely, Northern (NR), Eastern (ER), Western (WR), Southern (SR) and North-Eastern (NER). Of these, the four zones NR, ER, WR and NER are inter-connected, and form what is known as the New Grid. The Southern zone is synchronously interconnected to the New Grid. (The further division of states is shown in the infographic). Every zone is then responsible for the power needs of the states that fall under it. There is a load dispatch centre in every zone that oversees the transfer of power from the generating plant to the states and further. Depending on the need, every state then buys power and has to adhere to the withdrawal limit. Owing to the size of our country, and the fact that the power generating plants are scattered across the terrain, we have a very complex power transmission network in place. But its functioning, from power generation to power distribution is more or less the same across all regional zones. In each zone, power from various power plants is subjected to inter-state transmission, wherein the regional load dispatch centres monitor and control its distribution to the various states in each zone as scheduled. The next step is intra-state transmission, wherein the state load dispatch centre allocates power to various areas within the state, and then at local level. (View diagram). The power is generated at very high voltage, but stepped down at each substation. The Frequency band of 49.5 to 50.2 has been specified by CERC for efficient working of National Grid but still most of the times the Grid is “Under performing owning to terrible conditions of frequency. Missed Targets: India has missed every capacity addition target since 1951, underscoring the urgency behind Singh’s effort to make $400 billion in investments, or 40 percent of the total spend planned on infrastructure, over the next five years, according to Power Secretary P. Uma Shankar, the top bureaucrat in India’s power ministry, Year on Year Targets are being revised as the year proceeds.Likewise in FY 2011-12,Target revision was like 1,00,000MW to 78700MW to 56000MW. Roadblocks to Installed capacity has been mentioned in my another POST already. Demand-Supply Gap: The average annual increase in demand in India is 75-80 terawatt hours (TWh) per year, up from 50 TWh per year just five years ago. On the other hand, the increase in generation capacity per year does not match this. From 771 TWh in 2010, the capacity to produce power jumped to 811 TWh in 2011. This is leading to an increase in the gap every year. India’s capacity to generate 811 TWh per year — coming from hydro, thermal, gas and nuclear sectors — is 10 per cent short of the demand, and is a mere fifth of China’s capacity.Also, not all of the installed capacity is able to generate power 24 x 7. According to analysis,at any given time,Indian has the capacity to produce 2,05,340 MW.Around 15,000 MW of capacity is lying idle for want of coal or natural gas.According CEA out of 89 Thermal Power Plants, 23 are not running because of shortage of coal. Even after Black out day,States like Haryana and UP are over drawing(Plz see the PSLDC screenshot for 1st August) and frequency graph on the Blackout time is also shown in the figure. Another argument that has been put forward is the over drawl by heavy duty electric water pumps in lieu of saving the crops from scarcity of water. This is a grim situation for the Indian Power sector and some solid solutions need to be provided in order to prevent from going in to Black out scenario. Norms that have been laid down by CERC need to be followed more strictly & Just like income-tax tribunals have the power to attach bank accounts of defaulters, CERC should be given more punitive power so that its decisions have the same force as that of a court decree. Free Governor Mode of Operation (FGMO) should be taken in a more serious note. LDC’s should check the demand schedule and thereby maintaining the system in a streamlined way. States should end the blame game and there is a need of pro activeness from the states in these matters in order to avoid these horrible situations in the near future. Data speaks louder than words. Research by some consulting firms reveals that of the 89,882 MW of private power under development in 2009-10, there was no fuel linkage provided in 57%, construction hadn’t commenced in 91%, there were land acquisition issues in 80% of the cases, financial closure hadn’t happened in 90% and the EPC contract hadn’t been awarded in 86% of the projects. The situation today can, at best, be marginally better. Unless Lord Ganesha drinks milk again, private power development seems to be in all sorts of difficulties and wont kickstart easily. The Electricity Act, 2003, aimed to unfetter the power sector from government control, but the states got bogged down in protests from their own electricity boards, as employees feared privatisation, and held back even basic reforms. Till date, not a single open access has been granted to the private sector under Section 42(2) of the Act. But first, the discoms will have to be rated, not by handmaidens of the Power Finance Corp but by respected agencies with high credibility. Band-Aid reforms can’t cure cancer in any organ of the body. Cancer requires surgery and chemotherapy, in focused and controlled doses. India’s power sector has been getting Band-Aids as a proxy for bold reforms, whereas what it needs is surgery to complete the process started in 2003 with the introduction of the Electricity Act, which has been wrecked in its implementation. CERC Guidelines on Grid Maintenance, Indian Electricity Grid Code. This entry was posted in My Take on Power Sector, Uncategorized and tagged 31 August 2012, Balckout, Dark Time, Grid, Grid 2012, India Blackout, National Grid. Unscheduled Interchange (UI) is the mechanism developed to improve grid efficiency, grid discipline, accountability and responsibility by imposing charges on those who defer from their scheduled generation or drawal. Unscheduled generation and drawal of electricity puts the whole grid and many other electrical equipment in to danger by dumping large fluctuations in frequencies. Unscheduled Interchange is a part of three part tariff put forward by GoI in the name of Availability Based Tariff on 4th January 2000 at inter-state level. A proposal for ABT, as a three-part tariff, was first mooted in the year 1994 in a report submitted by an International Consultant (ECC Report) to the Government of India. The Government then constituted a National Task Force (NTF) as well as Regional Task Force (RTFs) to debate on various issues in the introduction of ABT for bulk power. Based on the recommendation of NTF, Central Government has prepared a draft notification and submitted to Central Electricity Regulatory Commission (CERC) for finalisation. As a result ABT was implemented at different regions at these dates. What is “Availability” Based Tariff & UI? Any power plant is having fixed and variable costs, the fixed cost comprise of interest on loan & working capital, return on equity, O&M expenses, insurance, taxes & depreciation. The variable costs are the fuel costs. In Availability Based Tariff these two costs are treated separately. The payment of fixed cost is dependent on Availability of the plant, i.e. whether the plant is available for MW generation or not on a day to day basis. The amount payable to the company as a part of fixed cost depends on the average availability of the plant over the year. If the average availability of the plant over the year is more than the specified norm of the plant, the generator gets higher payment and vice versa. This first component of the ABT is also called as the “Capacity Charge”. had surplus power when this extra 10 MW was generated and the frequency was above 50 Hz the rate at which this power is sold will be lower and vice versa. This leads us to conclude that there are three parts in ABT, 1) Capacity charge 2) Energy charge and the 3) Payment for deviations from schedule at the conditions prevailing at the time of deviation. The negative third part would signify that the payment is made by the generator for violating the schedule. Prior problem in the Indian power sector was not only the shortage of power but also the difficulty in performing grid operations due to acute indiscipline shown by the generators as well as the beneficiaries. The incentives to the generator were linked to actual generator and not on availability. The generators could pump as much power in the grid as they could irrespective of the frequencies and still get acknowledged for the wastage of the valuable resource. The load serving SEBs would compare the variable cost of their generator to the composite cost of the external generator causing a skewed dispatch. The regional grid operators ironically had a horrifying time trying to get generators backed down to protect the turbines of the same generator causing the situation. On the other end the stated utilities could overdraw from the grid even during deficit and still escape creating a chaos and despair all around. The energy charge to be paid by the beneficiaries to the generating stations would be the fuel cost for the scheduled energy to be supplied during the day and in case the beneficiary draws more power than what was scheduled then he will have to pay for the excess drawal at a rate dependent on the system conditions prevailing at that time. The rate will be higher if the frequency is lower and low if higher.  Compatible software requirement: This is the most important issue faced by the management of power systems. Implementation of software which does all the functions of a power system is user friendly and acceptable to all the persons using it is very much important for the implementation unscheduled interchange. The software should be able to compute all the results desired, should be robust to address all regulatory issues and should be modifiable as per all the state regulatory commission requirements. to declare less availability and hence should be deleted. To this the CERC replied that this tendency may not be with the intention of earning more UI but with the intention of avoiding paying UI charges. Also, Shri Padamjeet Singh has argued that gaming is going unchecked in several cases of the gas based power plants. This allegation is not accepted by CERC and it has said that it would like to draw its attention to the commissioner’s order in the petition no. 148/2005 dated 06/02/2007 and the various aspects of scheduling and dispatch has been discussed and resolved. A new provision has also been added in the regulation 6 as follows. “20. (4) Any mismatch between the scheduled and the actual drawal at drawal points and scheduled and the actual injection at injection points for the intra-State entities shall be determined by the concerned State Load Despatch Centre and covered in the intra-State UI accounting scheme. Open Access involves two parties one who supply the power and the other who receives, if there is no appropriate framework, disputes are bound to arise in scheduling, energy accounting and commercial settlement. CERC has been reasonably successful in implementing an appropriate platform for foolproof performance of UI.  Trading of State’s surplus generation: Suppose a generating station is scheduled to give 100 MW of power to the state but the off-peak demand is only 90 MW in this case the generator has an option of either backing down on supply and save on energy charge anyhow by getting the actual payment required for scheduled generation. The other very attracting option is to trade the surplus 10 MW of power to a third party at a market determined rate without backing out the power supply. This option is most viable if the traded price is higher than the energy charge (mostly the case) which the generator would be getting because the generator is anyway paid for the capacity charge for the scheduled generation i.e. 100 MW. This can also negate the technical problems associated with backing down of the generator and improve the plant’s efficiency.  Addressing grid disturbance problems: The whole motto of UI mechanism is to get away with the grid disturbance issues faced by Indian power sector. There was very low frequency down to 48Hz during peak hours due to over drawal by the SEBs and a frequency as high as 51Hz during off-peak hours because of not backing down the generation during this period. This was the case for several hours every day. This caused frequent grid disturbance, tripping of huge turbine & generators, transmission & distribution lines and the supply to huge block of customers was affected for several hours in a day. This was because of the type of tariff structure prevailing during that period. The previous tariff was energy tariff rather than power tariff. It was allowing over drawal by the SEBs during peak hours by compensating the same by under drawing during off-peak hours and all the generators got the same rate of return for 24hours irrespective of the system prevalent operating conditions. All the ABT and UI regulations brought by CERC try to negate these effects and the national grid is moving towards a stable path with no black outs.  Special meters & communication system requirement: According to ABT, UI has to be determined for each 15-minutes time block. This inherently requires metering of power supply and usage on every 15-minutes time block at very interchange points. These meters are required for both inter-state and intra-state constituencies if the same time block is applied to both. As some states already had meters for 30-meters time block a question was raised that UI metering could be allowed for 30 minutes time range for intra-state UI. Corresponding to the same concern raised, a procedure was adopted as an interim arrangement for determination of UI charges for 15 minutes time block from readings given by 30 minutes recording meters. An advanced communication system is also a must requirement for the recorded data’s to be transmitted to the respective load despatch centres for timely decisions to be made. The responsibility of installation, testing and maintenance of meters and the installation of communication facility for the transmission of data rests with STU. generation is restricted by the flow of water. To replace this behaviour of flow an energy charge is included for hydro.  Interface options: ABT mechanism should provide interface option between the stakeholders to impart benefits of the system to all. ABT interface and complaint meters should be provided at all injection and drawal points as per the CEA’s (Installation & Operation of meters) regulations, 2006. The time synchronization should be done by Global Positioning System. An IT interface is a must for a smooth and transparent operation of UI mechanism which works for grid improvement and maintenance. IT interface would allow/allows access to the data, data storage by all the stakeholders, allows for preparation of reports based on the data’s, tariff calculation can be done by one and all by just putting in the data, different queries of the stakeholders and beneficiaries can be entered and can be entertained upon very quickly. All these beneficial reasons make an Interface system very essential for the implementation of UI mechanism. Benefits arising from UI implementation: Huge benefits can be incurred by following the UI mechanism of tariff both on the monetary side as well discipline side. Listed are some of the benefits of the UI mechanism. 1. UI is a real time pricing mechanism: UI rate is dependent on frequency signal received by every generator. Each generator then reacts to this frequency change and adjusts their supply to reach a new allowable frequency level. The decreasing returns by the deviations from the scheduled supply/drawal makes each generator/drawer think before deviating from the scheduled supply/drawal. The collective action thus plays a vital role in the game of making the frequency stable at the equilibrium level. This results in a win-win situation for all the stakeholders. 2. UI can be used for Merit Order Despatch: A perfect market is the one which does not have any one player in it who can guide the proceedings of the market. This tells that every player in a perfectly competitive market is small enough and is aware of the market conditions. Each generator is aware of the UI mechanism and in real time the UI rate applies to all the utility transactions. Each utility has its say in the market and no one can undermine its rights in real time mechanism. This tends to dispatch least cost power first than the other. 3. UI increases efficiency of the grid: Grid efficiency is definitely increased by meeting merit order despatch, charging utilities and beneficiaries for deviating from the scheduled supply/drawal, incentive for withdrawing the load during the peak hours etc. 4. Capacity best matched with load by UI mechanism: It tends to match the demand/supply by provision of incentives/disincentives and for the want of generating more revenues. 5. Power exchange along with UI mechanism: The proponents of the power trading market of India say that the lack of investor confidence in the Indian market is due to absence of the organized day ahead market. Lack of transparency is also a big deterrent towards the same. Introduction of UI has supported the development of a trading market and exchanges which serve for day ahead schedule and real time trading by bringing all the consumers and sellers together on a single platform with standardized contracts, trading procedures and bid formats. This would also lead to much transparency in the pricing mechanism and the confidence of investors is bound to increase. 6. Implications of deviating from scheduled supply/drawal known: If the implications of deviating from a law or a rule are well known the crime/violation of a rule can be controlled on a large scale. This is what UI has done to the Indian power industry in a short time and the progress is being continued at a larger pace. Recent amendments have narrowed the frequency to 50.2-49.5Hz and the overall charges payable for over drawal/under injecting at a frequency lower than 49.5Hz has been increased sharply. This would further help in strengthening the grid discipline. As an example, Uttarakhand Power Corporation Limited, due to the rapid industrialization of the state is finding it very difficult to keep pace of power capacity addition with the growth observed. It has paid more than 370 Crores as UI charges in the period April 2008 to October 2009 due to overdrawing from the central grid. This figure in itself acts as a boost towards power sector development. 8. A mechanism for harnessing Captive & Co-generation: If the existing captive/cogeneration facilities are harnessed within the grid the demand/supply gap in the country can be substantially bridged off. This can be done very quickly by stipulating that any injection or drawal by such plants will be paid for as per the frequency linked UI rate. 9. More consumer load can be catered at any time: This is due to the incentives given for reducing the load during the peak hours. Those who don’t have very important use of power during peak load period can shed their load and gain from it. This is very closely related to the Demand Side Management. 10. UI prevents costly damage to electrical & mechanical equipment: Frequency variation is the very cause of damage to electrical equipments and indirectly to the mechanical equipments too. When frequency management is looked in to so deeply the damage to the equipments is also reduced drastically.  Grid frequency has drastically reduced from 48 to 52 Hz earlier to 49.5 to 50.5 Hz for most hours in a day.  The hydro electric utilities are handled in an efficient manner than it was done before.  States share have acquired a new meaning in the central generating stations and grid discipline is promoted.  Power deficit states can meet their occasional excess demand by over drawing from the grid and paying the UI charges to the state which has under drawn. The UI mechanism has dramatically reduced the problems faced by the Indian power sector in the field of grid management and discipline. It has developed investors’ confidence in investing in Indian power sector by creation of transparent pricing system. UI mechanism in itself supports other reform policies such as open access, demand side management, efficiency, conservation etc. Huge resources of developing India are saved by this mechanism, supporting both over injection as well as under injection depending on the conditions prevailing in the system. It will also be not wrong to say that UI mechanism has alone brought more amount of discipline that could not have been brought by the collective influence of all other reforms. If all the generators participate equally in UI mechanism, it can bring down UI obligation of participants. UI w.r.t demand side management can be brought by implementing intra-state UI mechanism where much work still needs to be done. 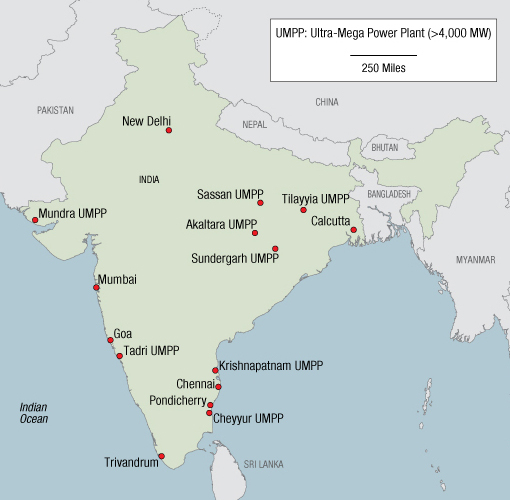 This entry was posted in My Take on Power Sector, Uncategorized.